BackPack:: Footage from the observation satellite is coming ! We just call you TRANSFORMER! because! It proves we're alive! Coby: I won! I beat father! Well? What do you think of me?. Adoring fan: You should retire already. Father: Hey hey! No Way! Coby: grrr ... I can go where I want! This isn't your yard! Bud: Lori! You're much to fiery. Use this to cool that heat! Lori: What an overreaction... It's just a machine. 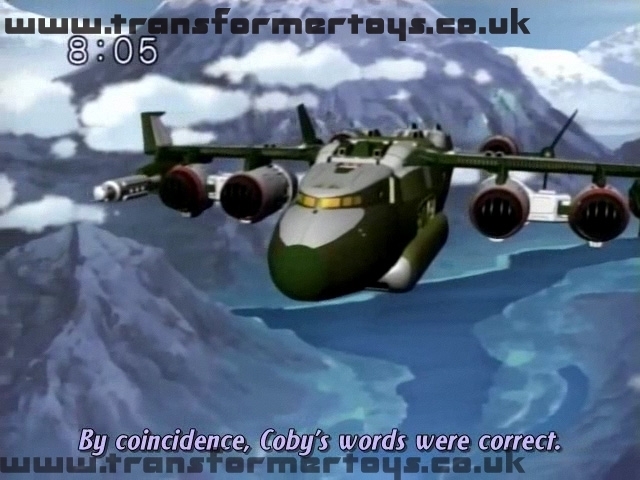 Coby: No! Machines are alive. Dreadrock: Just in case, I'm going to scan a little more. BackPack:: Currently, the Grand Black Hole is 2000 clicks away from Planet Seibertron. Planet Seibertron is already being affected by its gravitational pull. Exillion: There's no time! Supreme Commander, just when are we going to begin!? First Aid: Right. 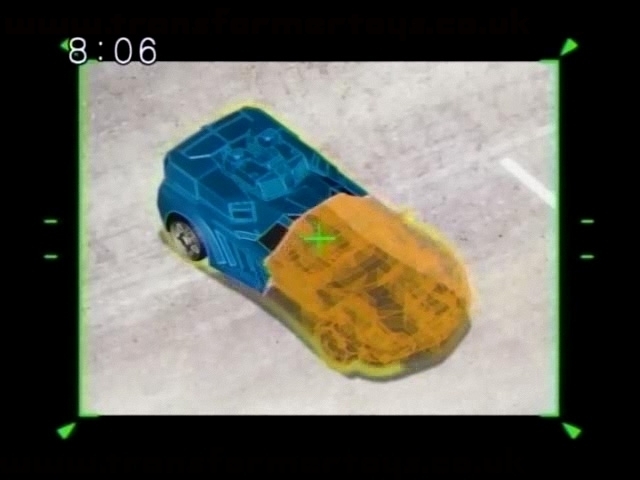 Currently I'm running a simulation from the satellite data. Failure is not an option after all. Please just give me a little more time. GuardShell: Setting cannon to 11 degrees. BackPack:: All ready to fire! 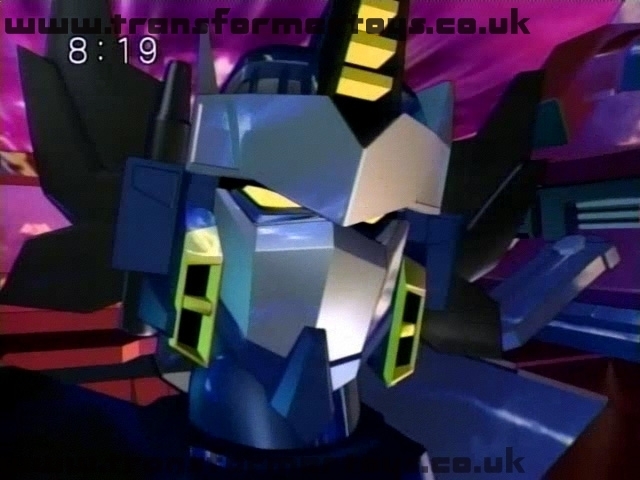 Galaxy Convoy: Let me repeat my warning. We cannot let Earth know about the current situation. Should the migration be permanent ... I pledge to let Earth know in a way that they can understand. However, we believe this evacuation is temporary. 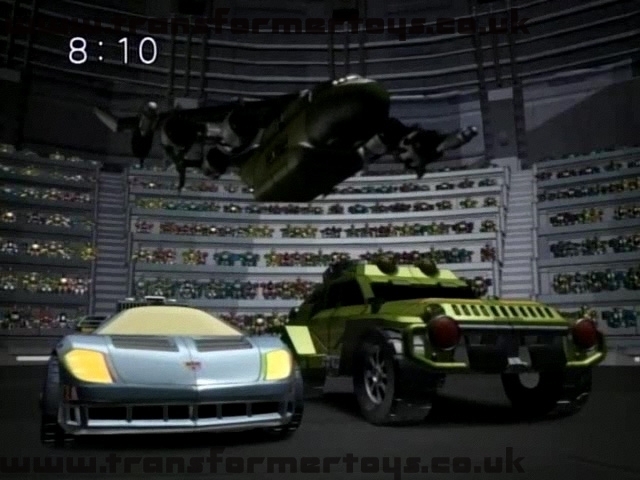 That's why on Earth, you must transform into Earth vehicles and conceal yourselves! You must not bother the Earthlings. Anyone that can't obey this rule should not be on Earth. Anyone like that here!? [pause for reply] Dreadrock scanned Earth's information for us. Galaxy Convoy: I'll go first. 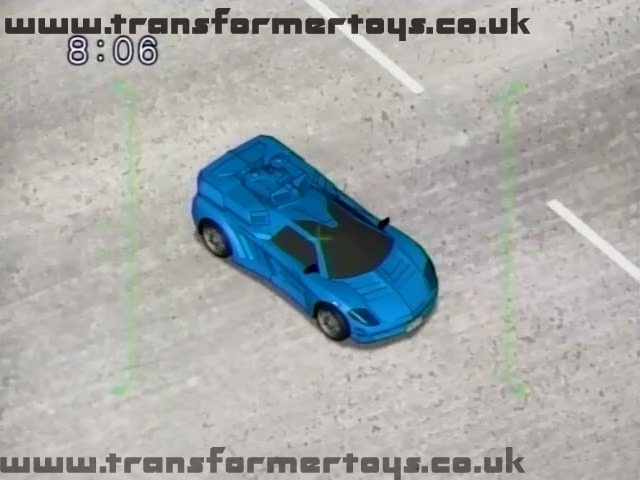 Galaxy Convoy! Transform!! Dreadrock: You guys should also pick something that you like. Exillion: This is good. Looks fast! 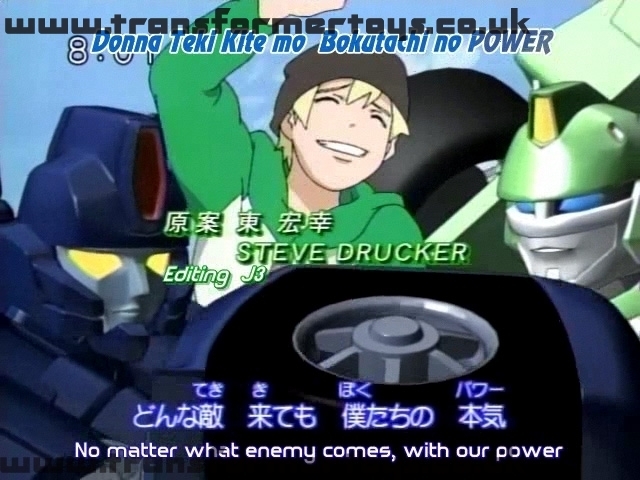 Dreadrock: Dreadrock, transform!! Everyone pick something that you like and scan it. 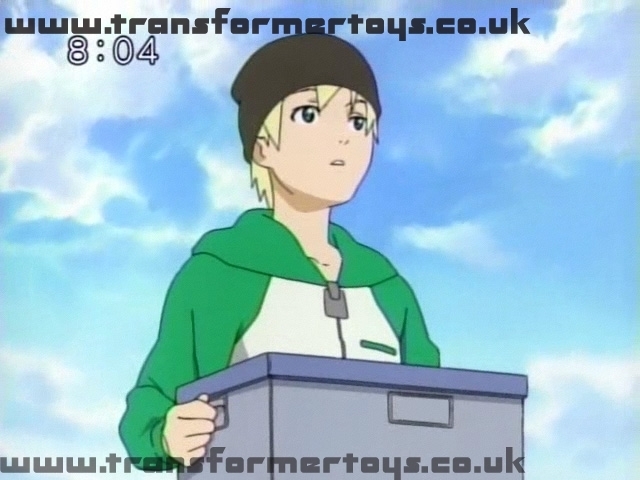 Galaxy Convoy: And the things we're taking with us? BackPack:: After this is finished, it'll be done. Exillion: Alright! Let's do it right away! Back-pack: There's a temporal distortion! JackShot: Hey don't be pushy. No need to panic! There's still time!. Back-pack: Jackshot, big problems. There's a temporal distortion above us! GuardShell: It couldn't be... an aftereffect form earlier? 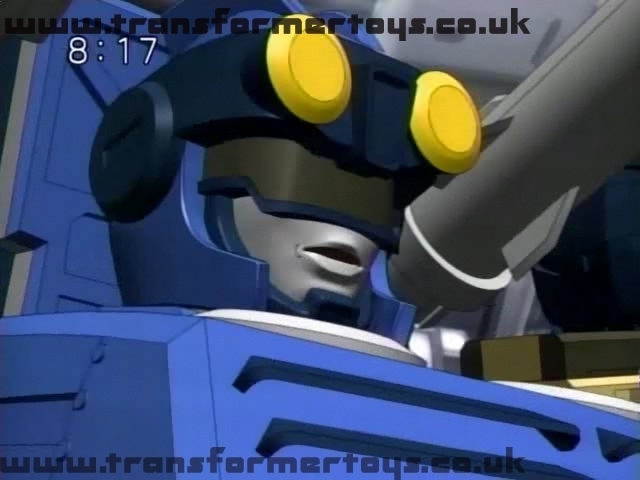 Galaxy Convoy: Who are you!? Exillion: Are you an enemy!? Vector Prime: My name is Vector Prime. I am a messenger from the edge of time. Vector Prime: There is only one way of eliminating this galaxy's worst disaster. Gather the Planet Force! Vector Prime: In terms of your time, I'm from a time tens of millions of years ago. Ancient Transformers planned the unbelievable to link ancient space with a Space Bridge. 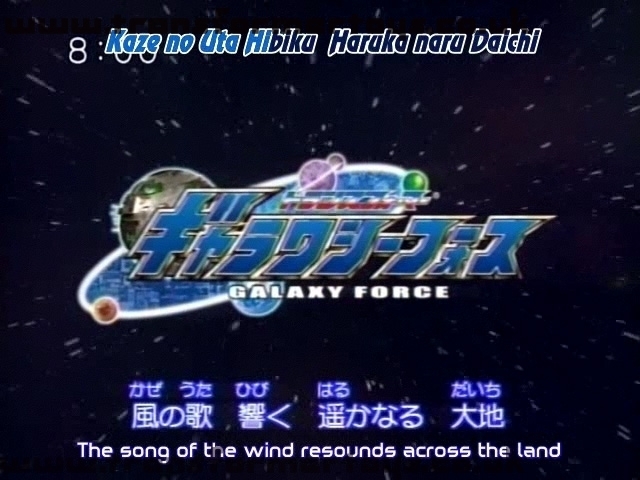 To make that possible, they used four Planet Force. 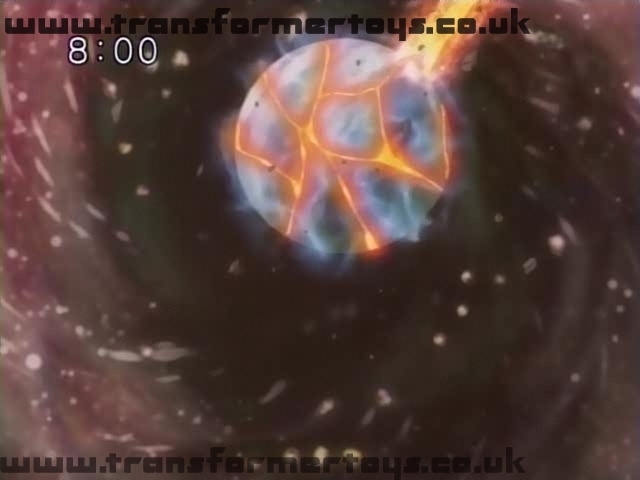 Made by the galaxy's Creator, Primus' Spark, it's said to contain the power of an entire planet. However the plan ended in failure... ... and the four Planet Force were scattered somewhere in space. 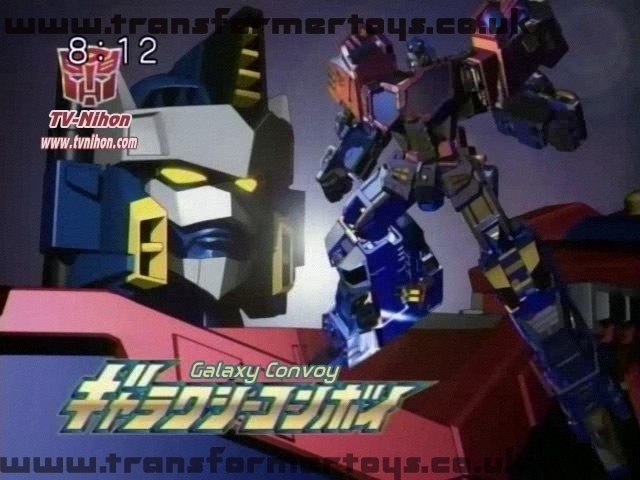 Galaxy Convoy: If we gather them, the galaxy can be saved? Vector Prime: Only the creator of the Galaxy, Primus' Spark, can save us from this crisis. 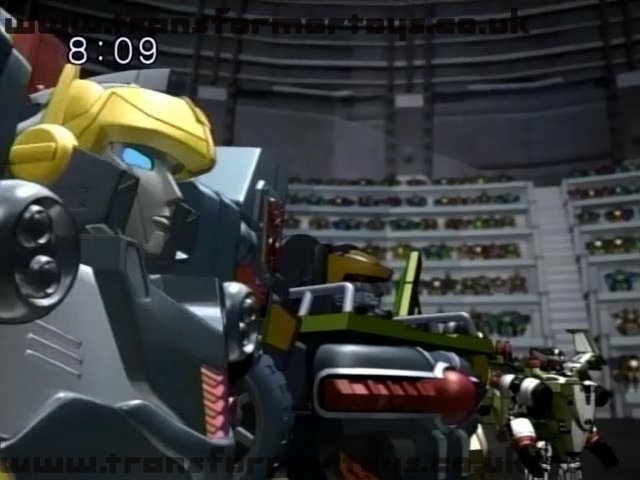 Vector Prime: I don't blame you if you don't believe me. However, I hope you believe me. 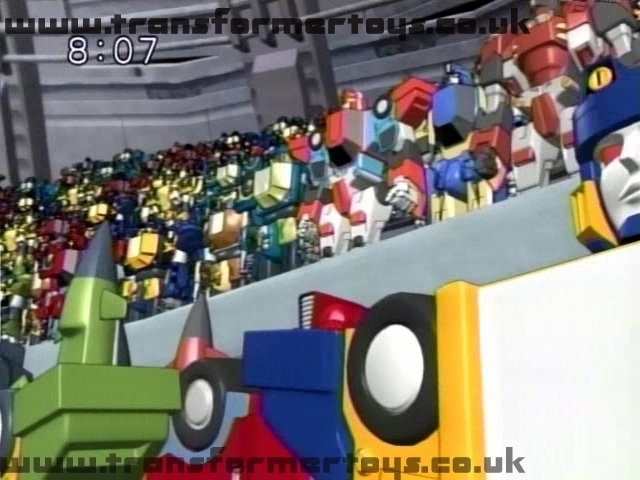 Galaxy Convoy: I will gather my subordinates. Vector Prime: I'm deeply grateful! I will create a map to show where the Planet Force are. Master Megatron: hahahah. The time to appear has come. 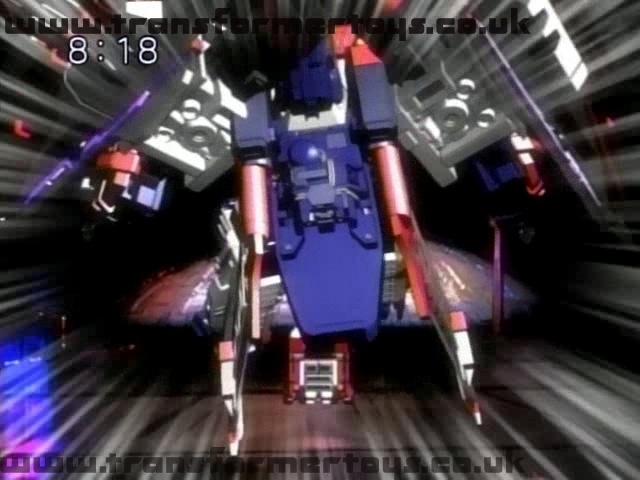 Starscream: Master Megatron... what has happened? 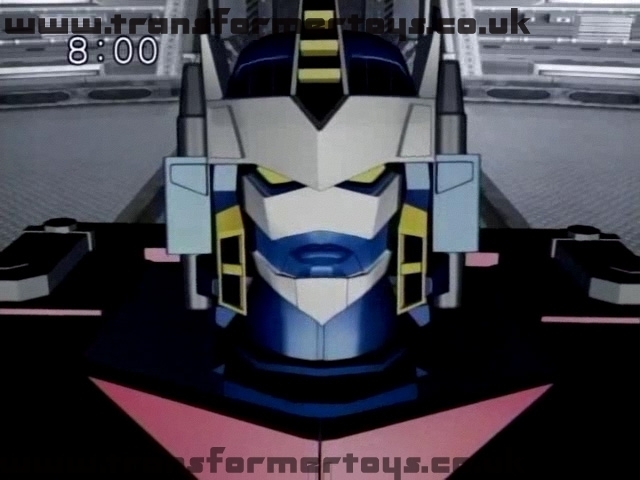 Master Megatron: A visitor from the edge of time has visited Galaxy Convoy. Look! Vector Prime: It's said it's made from the Creator of the Galaxy, Primus' Spark... each one of the Planet Force is said to have unbelievable power. 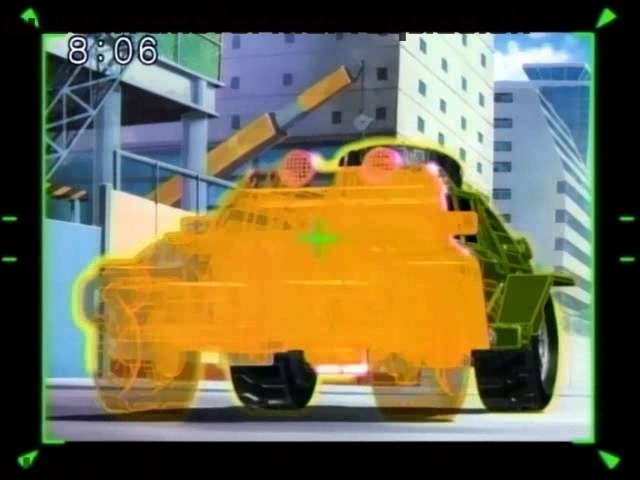 Of course, it would give you guys great power and abilities too. Master Megatron: You hear that, Starscream? Creator Primus' Spark! 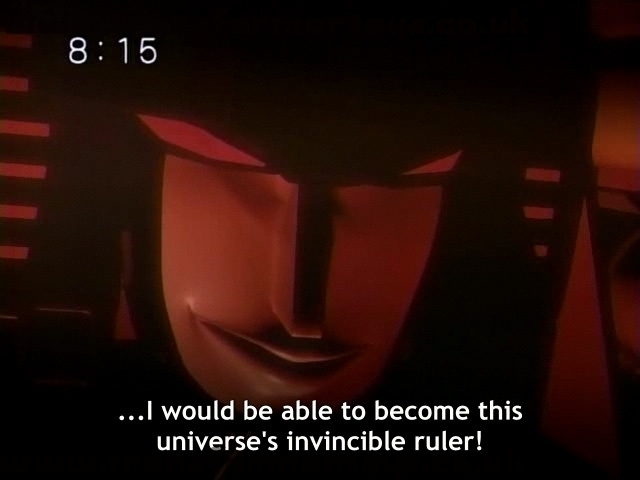 If that power comes into my hands I would be able to become this universe's invincible ruler!! Exillion: How did I get put on the expedition to find the Planet Force? Dreadrock: Don't ask me. If you're going to ask, ask the Supreme Commander directly. Exillion: Anyway, do you believe that gossip? Dreadrock: If it's believable, then I want to believe. To be honest, we're out of options. At this rate, evacuating to Earth is all we have. 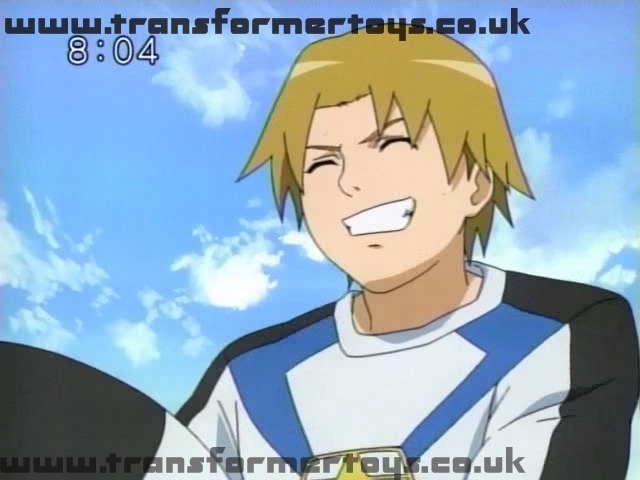 Galaxy Convoy: Did something happen!? 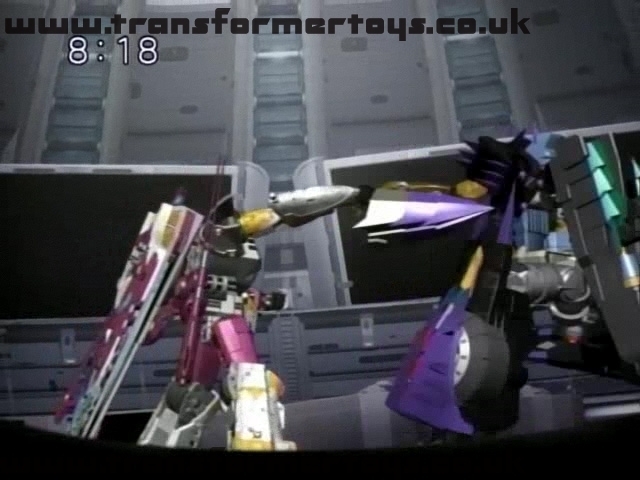 Starscream: That's as far as you get. Starscream: I bet you were lonely without me. Exillion: You piss me off! Vector Prime: The map is complete. All that's left is to use this. BackPack:: There's no time! Evacuate! Master Megatron: I heard your story. I believe you...unlike those guys! Vector Prime: You are ...!? 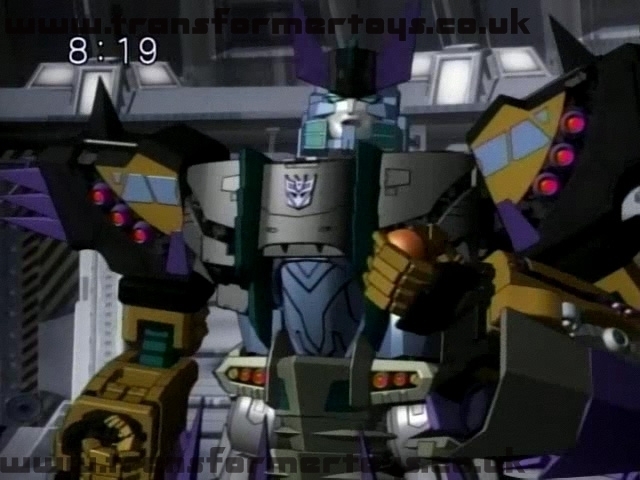 Master Megatron: Someone that understands a robot like yourself. I am the only one who can save this universe from its peril. Now... give that map to me. 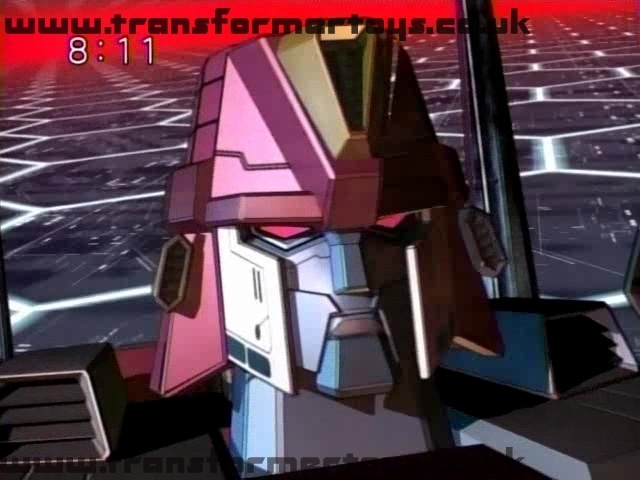 Galaxy Convoy: Master Megatron has...!? It's the enemy's diversionary tactic! I'm returning to the Sky Dome! 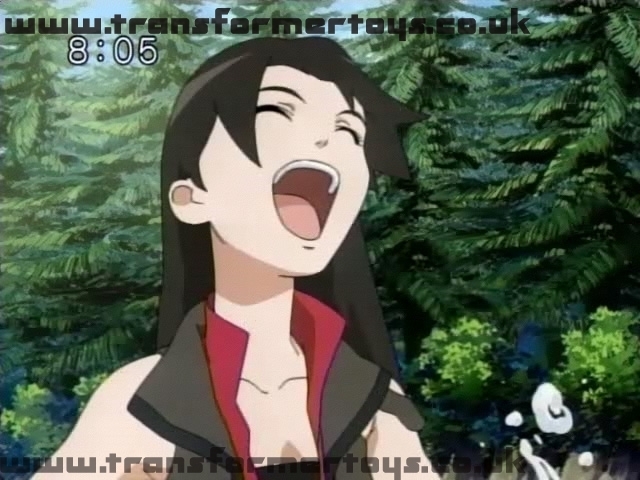 Transform! Starscream: I will not allow that! What!? Starscream: You!! What's your name!? 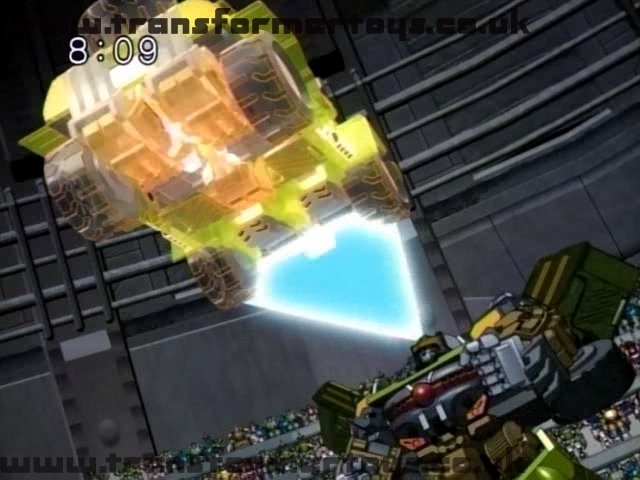 Master Megatron: Now, hand it over! 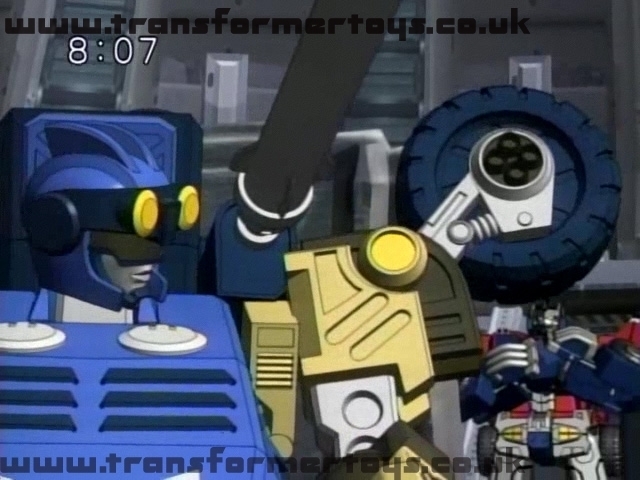 Vector Prime: B-but... What are...!? Master Megatron: ahahahah. With this, Creator Primus' Spark will be mine. 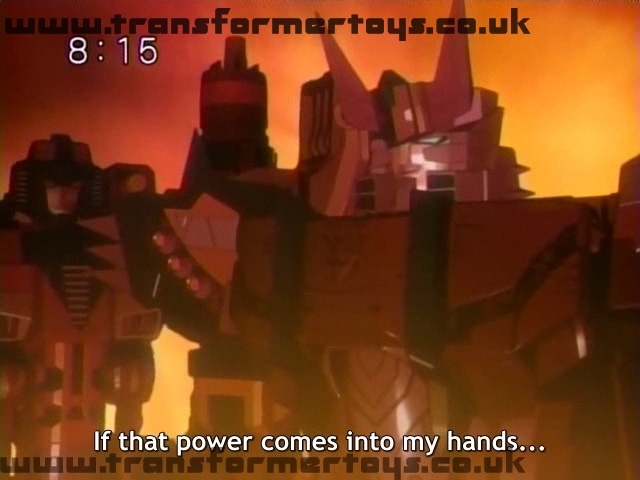 Galaxy Convoy: That's not going to happen, Master Megatron! 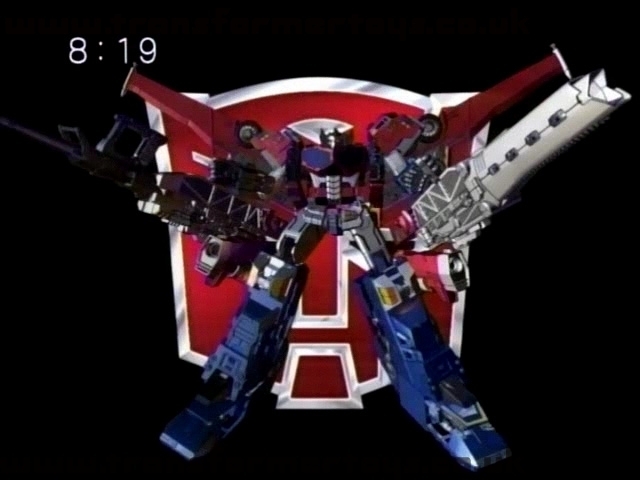 Master Megatron: Galaxy Convoy!? e-heh. 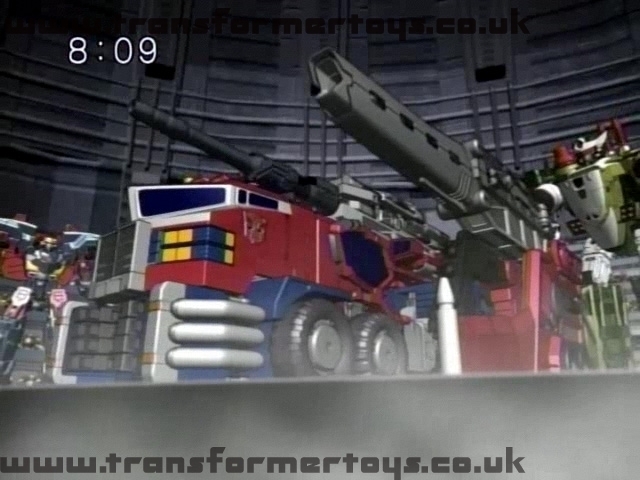 Galaxy Convoy: Galaxy Convoy! SUPER MODE!!! 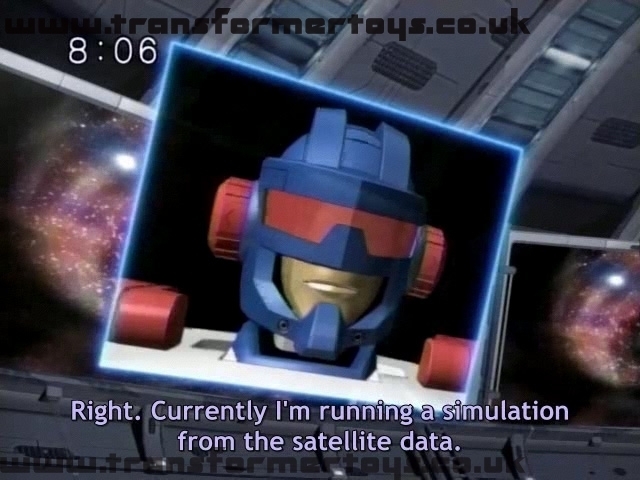 Galaxy Convoy: I'm not letting the map go, Master Megatron! 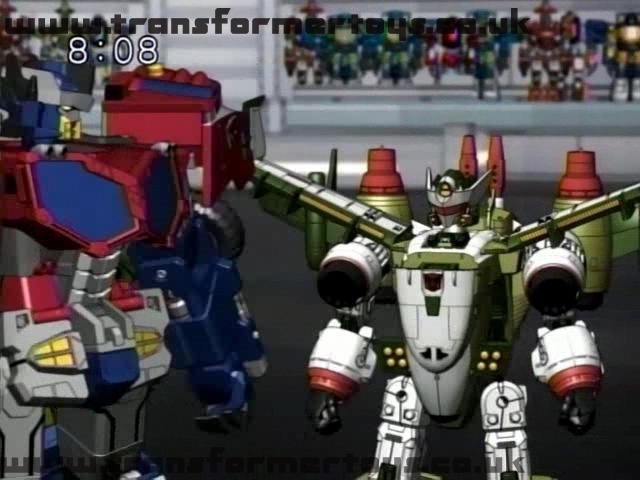 Galaxy Convoy: That's far enough. Now, will you return the map? Master Megatron: Let this galaxy be destroyed! 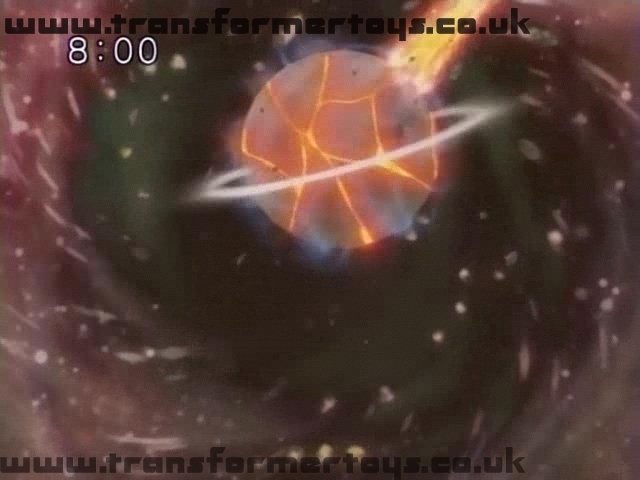 I will take Creator Primus' Spark and create a new universe! Vector Prime (Drawing sword): Damn you!! Starscream: Seems this planet is at its limit. 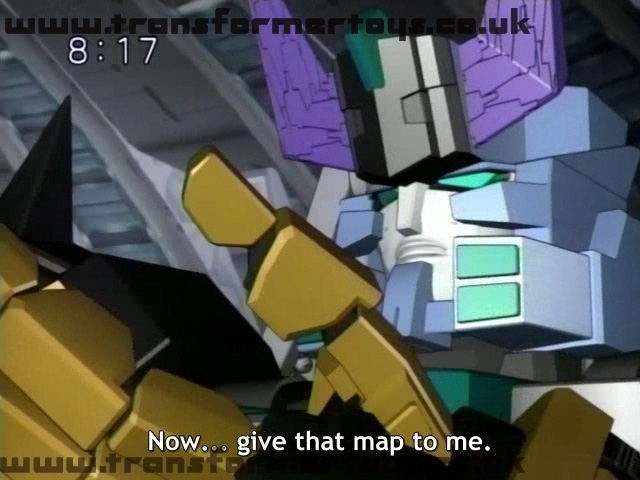 Master Megatron: The map's in my hand. Fall back. 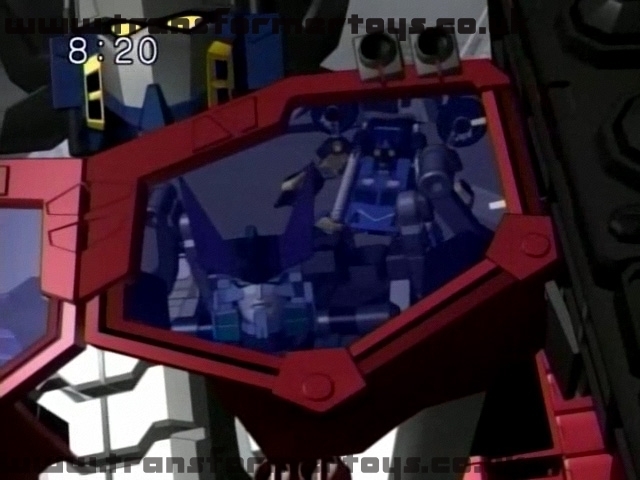 Galaxy Convoy: Damn you, Master Megatron. Exillion: Supreme Commander! Guardshell was sucked into the Grand Black Hole! Exillion: But... what about Guardshell? 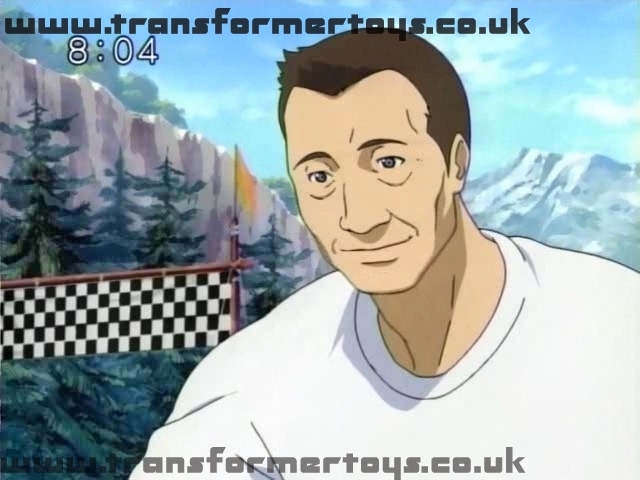 Galaxy Convoy: I will definitely find him. However... right now we must get away from here. Cory: No! They're life forms! Bud: No! Its a UFO! Bud: Its definitely a UFO! Lori: It's someone's voice! 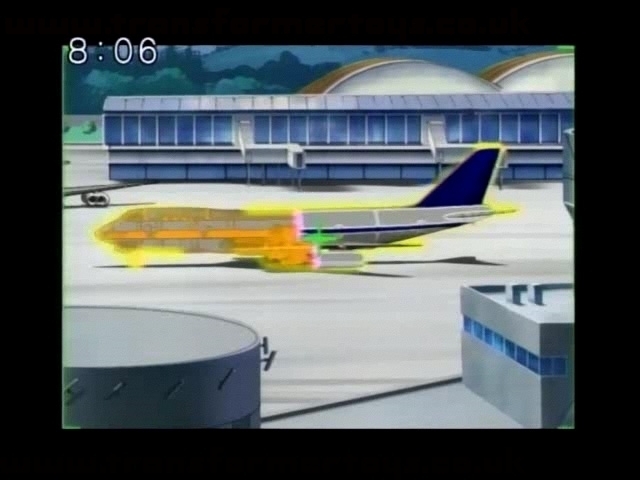 Maybe its a plane crash!? Page Rendering Time: 0.3163 seconds.